1. In a small bowl, combine the pickled jalapenos with the plain Greek yogurt. Place in refrigerator. 2. To make the Watermelon Jicama Salad: In a large bowl, mix all the ingredients. 3. In a large bowl, lightly season the shrimp with salt, red chili powder, and cumin. In a medium saute pan, warm the olive oil. Add the shrimp and cook until pink and lightly browned, 6 to 8 minutes. Warm the tortillas on a grill, in a pan, or in the microwave. 4. Place three shrimp in the tortilla and drop with a drizzle of your jalapeno yogurt sauce; top with cabbage and avocado and serve with a lime wedge. Feel free to top with your favorite salsa. 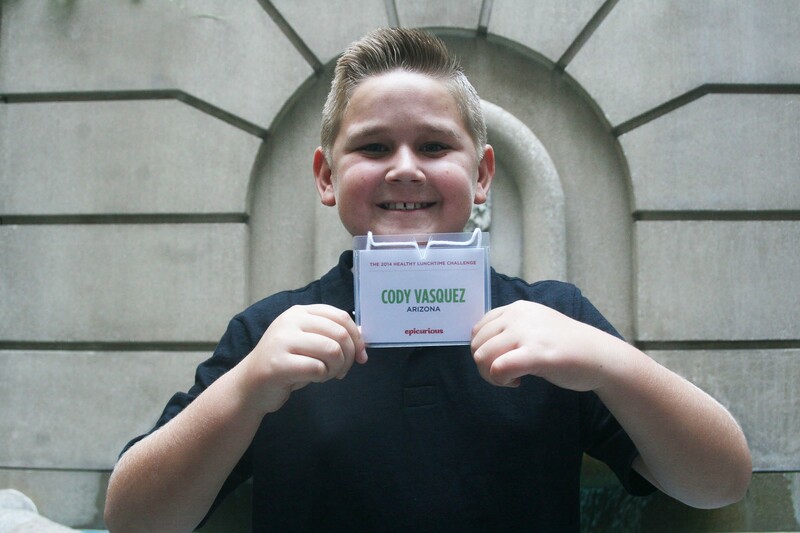 WASHINGTON – Fielding questions in the courtyard of the Westin Hotel in Georgetown, Cody Vasquez has the composed, mature nature of someone twice his age. But when the Gilbert 12-year-old begins to talk about food, his whole face lights up as he struggles to keep his hands and feet still. Cody, who first started cooking at age 4, makes time to practice cooking every day, whether it’s preparing a meal for his family or spending time in the kitchen at his parent’s restaurant. That passion earned him an invitation to the White House, where he will be one of 54 young chefs Friday taking part in a “Kid’s State Dinner” hosted by first lady Michelle Obama as part of her “Let’s Move!” initiative. Cody, a Quartz Hill Elementary sixth-grader, said he’s excited about the dinner and hopes he meets the president. But it’s always been a dream of his to meet the first lady. The dinner is the culmination of the annual Healthy Lunchtime Challenge, a national contest sponsored by Mrs. Obama that honors one kid from each state and four territories for their original, healthy lunch recipe. 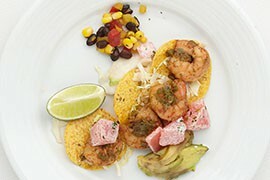 Cody was picked as Arizona’s representative for his “Shrimp Tacos and Watermelon Jicama Salad” recipe. He said he was “just amazed” when his parents told him one morning that he had won the contest. After making some experimental watermelon popsicles, and eating a lot of the fruit by itself, Cody started adding ingredients until he eventually came up with the salad. Contestants are required to follow the U.S. Department of Agriculture’s myplate.gov nutritional guidelines when creating their dishes. That wasn’t hard for Cody, who said that making healthy food is important to him. The healthy ingredients are the reason his dish “tastes really good,” he said. When he isn’t cooking, the 12-year-old said he is baking: He enjoys making spaghetti and meatballs just as much as he does pies. “I always say they’re not the same thing, because I feel different when I’m cooking than when I’m baking,” he said. This year’s contest drew approximately 1,500 entrants, ranging in age from 8 to 12. Among some of this year’s winning dishes were quinoa lentil burgers with kale slaw from Massachusetts, sunrise Tuscan chicken from Ohio and chia chicken pitas from Virginia. Cody said he is looking forward to meeting other kids who enjoy cooking just as much as he does. And like anyone that age, Cody has dreams for the future. He hopes that all of his hard work and dedication to cooking will pay off someday, and maybe he’ll be “a Food Network star” when he grows up. And if that doesn’t work out, “just a chef in a restaurant” will be fine, he said. 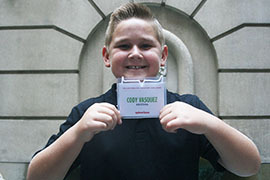 Cody Vasquez, a Gilbert 12-year-old who was at the White House for the "Kid's State Dinner," which honors children from around the country for their original, healthy recipes. 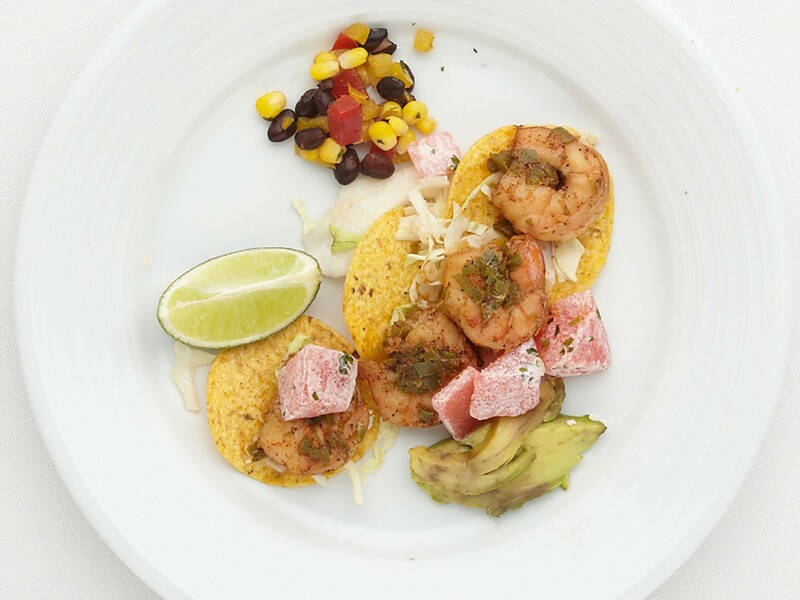 Cody Vasquez's shrimp tacos with jicama salad, a recipe that won him an invitation to the White House with other kids from across the nation who developed healthy, original lunch recipes.